When the postman came this morning, he brought me a nice surprise. I knew it was coming but didn't know it was going to be today. The parcel marked as “fragile” and I was wondering what might be inside. So I excited unwrapped it immediately! It's a special personalized Mariuca mug! *awww* THANK YOU, THANK YOU Pinky Buddy; I heart this coffee mug! I appreciate receiving a gift, but I'll cherished a mug that is personalized a little bit more than a mug bought off the shelf because it usually signifies that the gift giver has gone that little bit further to make the gift more special. As you can see, the mug features cute and eye-catching illustrations as a full wraparound on it! Okay, it's time for coffee! Uhmm, I had no idea why I was so excited (it's not like I've never been here before) and had a sudden boast of energy to climb the stairs! The night view of KL city, pictures taken from Look Out Point (more pictures coming soon). 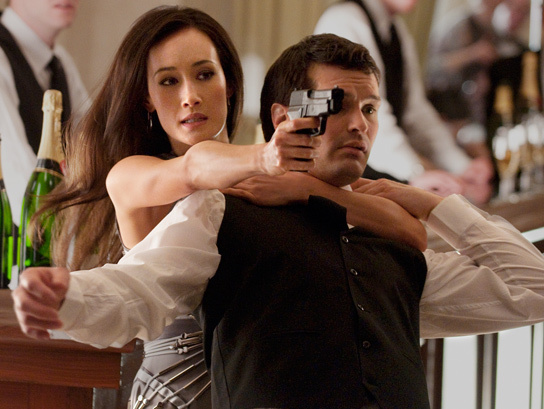 I started watching the first season of Nikita last week and I've been totally hooked since episode one. 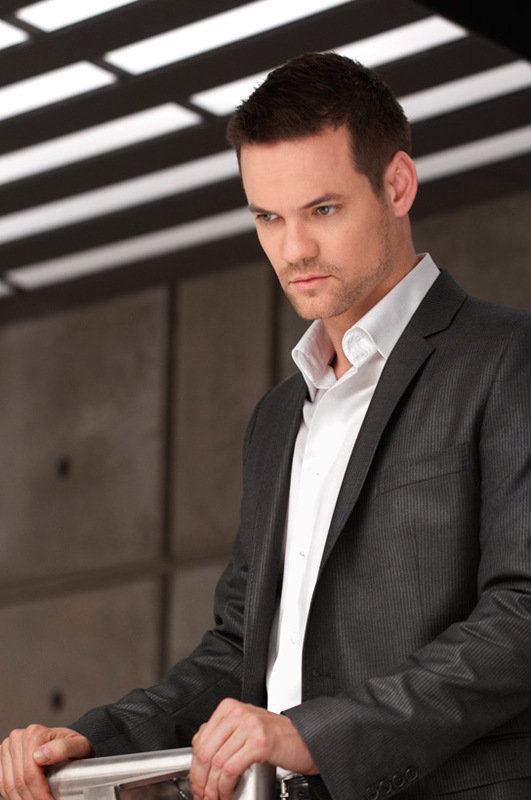 You can't go wrong with hot casts, top-secret US government organization, plenty of suspense and tons of action! "Breaking My Own Heart" played during a flashback scene in episode 14. The song is appropriately tragic and remorseful, and I imagine that if Nikita and Michael ever made each other mix-tapes, this tune might be on it. *watching episode 15 now* I can't wait to see what happens next! Before heading back home to KL, we stopped by this place for the popular satay celup (a Malacca adaptation of satay steamboat)! The place was empty when we got there, but it wasn't dinner time yet. One of the must-try local fares in Malacca is satay celup. So I brought my mom here as she was uninitiated about what exactly satay celup was. Well, it's like buffet steamboat except that the satay-style food is dipped in a pot of boiling sauce similar to the peanut satay sauce but having a different variety of ingredients including herbs and spices. There was a wide variety of raw and semi-cooked seafood, meat (including raw meat) and vegetables skewered on wooden sticks in a refrigerator. We proceeded to take the skewers of food and dipped into the satay sauce! There are many satay celup shops in Malacca but I've only tried the satay celup here, twice so far and have really enjoyed it both times. Somebody please bring satay celup to KL! Without doubt, a visit to Malacca would be incomplete without tasting the chicken rice balls, durian cendol, icy white coffee and satay celup. * The place we stayed at in A'Famosa Resort. * In a safari truck, it was sure one wild adventure! * The crazy, dangerous stunts performed by those brave warriors! In Jonker Street, tourists crowd into San Shu Gong for local food products. Besides that, there is also a cafe in San Shu Gong building serving local snacks, drinks and desserts! After we've bought some of the local delicacies to take home, we chilled out at the cafe and we were more than ready for some cold drinks. Even though we were stuffed from lunch and cendol, we couldn't resist and had their must-try durian cendol! Their Icy White Coffee was marvelous and irresistible too! The coffee was chilled and served in a tall glass filled with blocks of ice cubes sitting beneath the glass. I instantly fell in love with it! Ralph tried some (he's not a coffee fan) and thought it was so good. #11 Lao Qian Ice-Cold White Coffee - Retailing at RM 9.60 per pack, each pack contains 8 packets. However, I was told that Lao Qian Instant White Coffee has amazingly strong flavored white coffee, unlike the "Ice-Cold" version and it's good to be served hot or cold. Thus, I bought a pack of Lao Qian Instant White Coffee instead. Like Lao Qian Ice-Cold White Coffee, Lao Qian Instant White Coffee is also available in San Shu Gong; retailing at RM 12.80 per pack, each pack contains 12 packets. What a joy to a coffee lover like me to discover a jaw-dropping good coffee! I'll certainly be stopping by here if we visit Malacca again.